The NASCAR short track season is officially upon us – huge grins, high spirits, bumpers and intensity all around. Sunday’s STP 500 at the half-mile Martinsville Speedway (at 2 p.m. ET on FS1, MRN, SiriusXM NASCAR Radio) opens the test of gumption, patience and short track mastery for the season. Certainly the last time the Monster Energy NASCAR Cup Series visited Martinsville it met all expectations of drama and excitement. With a 2018 championship spot on the line, Joey Logano and Martin Truex Jr. went door-to-door, bumper-to-bumper for the win in an epic duel in the final laps. The two made contact multiple times. Ultimately Logano moved leader Truex out of the way in a “bump and run” winning the race and earning his spot to ultimately be in the Championship Four at Homestead-Miami. 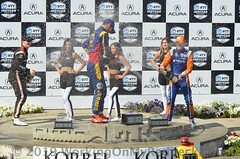 Logano answered with his first Monster Energy Series championship three weeks later with a victory in South Florida. 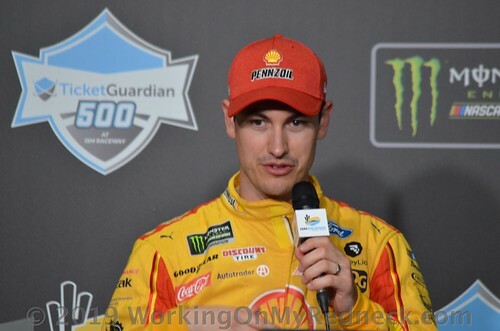 The final lap intensity that Logano and Truex showed last year is every bit what NASCAR fans have come to expect in short track racing – that particular chapter came complete with a post-race promise from Truex that he would not soon forget the way Logano raced him. 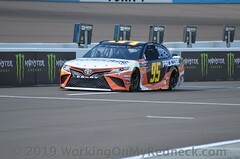 The defending winner of Sunday’s race – Stewart-Haas Racing’s Clint Bowyer earned his first win at the track in a less dramatic, however equally stellar fashion – leading a race best 215 laps. 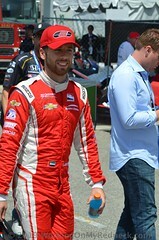 He was one of three drivers who led at least 100 laps on the afternoon (also Ryan Blaney, 145 and Denny Hamlin, 111). Over the course of their careers, it’s been Jimmie Johnson and Kyle Busch leading the short track (Martinsville and Bristol, Tenn.) statistics among active drivers. Johnson has nine wins at Martinsville and two at Bristol. Kyle Busch has seven victories at Bristol and two at Martinsville. His brother Kurt has six wins at Bristol and a pair at Martinsville – including the longest span between wins there (22 races) between his first win in 2002 and last in 2014. And Denny Hamlin is always a favorite at Martinsville, where he’s won five times – a mark second only to Johnson’s nine among active drivers. This year’s Daytona 500 winner has four top-10s in the opening five races and won this race last in 2015. Interestingly, over the last 10 races at Martinsville and Bristol, there have been only two drivers to win multiple times at the tracks. Logano has a pair of wins at Bristol (2014-15). And Kyle Busch is the only one to do so at both tracks – winning twice in that time frame at Martinsville (2016 and 2017) and also at Bristol (2017 and 2018). There have been nine different winners in the last 10 Martinsville races (Kyle Busch the long repeat winner) and eight different winners in the last 10 Bristol races (Kyle Busch and Logano repeat winners). 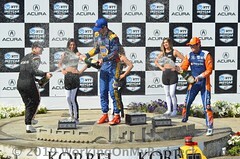 Three of the last four Martinsville winners – Logano, Kyle Busch and Brad Keselowski – already have wins this season. Busch, who scored his 200th NASCAR national series win last week at California’s Auto Club Speedway is looking to earn his third consecutive win and top that magic number. 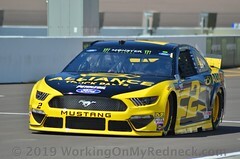 So far he’s won on Phoenix’s ISM Raceway one-miler, the California Auto Club Speedway two-miler and eager to see if he can retain his magic in the epic 500-miler at Martinsville’s historic half-mile “paperclip”. “I think just being able to get comfortable, get settled and make sure that you’re good to go for those hauls,’’ Busch said about the demands of racing at Martinsville. “Don’t worry about what lap it is ,ever, during a race. That’s the worst thing that could happen to you.